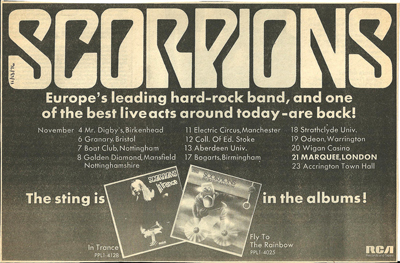 A search of the internet reveals two posters of British tours by the SCORPIONS with the Granary featured on each tour. 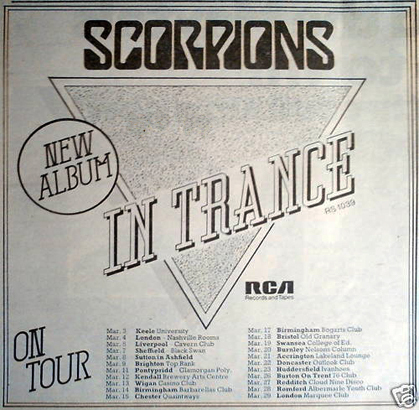 They scored a top 40 hit in 1979 with “Is There Anybody There” and then a massive number 2 hit in 1991 with “Wind of Change”. 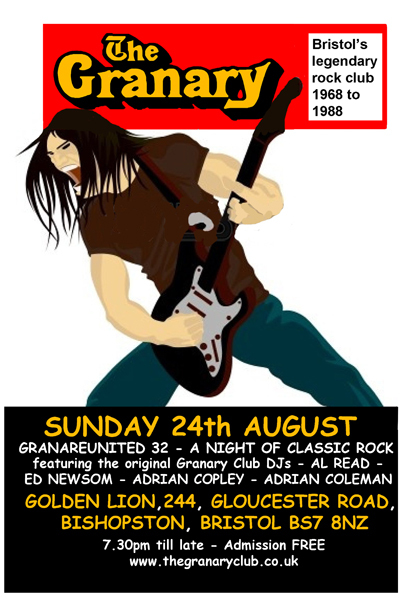 We’re looking forward to your company on August 24th, till then - Stay Cool, Hang Loose and Go with the Flow Al & Ed. !